Bet you didn't know of these heritage facts about some of the iconic hotels in Singapore! Plus after reading this, you might want to stay in them yourself. People don’t usually give the histories of hotels much thought. But did you know that some famous hotels in Singapore have stories that date back to pre-war times? The amount of effort that some of these heritage hotels in Singapore take in order to preserve our history and culture is to be applauded – and even awarded in most cases. Be your own king or queen for a weekend at Sofitel's Magnifique Suites, located at Sofitel Singapore Sentosa Resort & Spa. Book a Prestige suite and enjoy 30% discount* over their Best Flexible Rate. 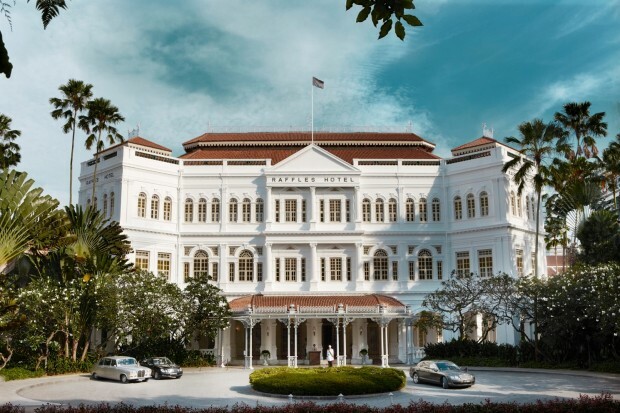 Let's check out some of the most heritage-rich hotels in Singapore! In 1873, a military fortress named Fort Fullerton had to evict its officers, along with their barracks and canons because of a petition made by people due to the scarce resource of waterfront land. After that, it was the home to our country’s General Post Office (now known as Singapore Post), Chamber of Commerce, The Exchange and the Singapore Club. All of these were pivotal in the history of Singapore. After Sino Land and Far East Organization (the Singapore affiliate) purchased the landmark building, they restored all the authentic details. A $400 million makeover later, the hotel opened its doors on 1 January 2001. The Fullerton Hotel Singapore received the Urban Redevelopment Authority Architectural Heritage Award in July 2001. The award is Singapore’s highest honour recognising contributions towards the preservation and restoration of Singapore’s heritage. Hotel Fort Canning was once the British Far East Command Headquarters during World War II and it had changed hands multiple times – first from the British Army to the Japanese during the Occupation, then back again to the British Army and afterwards to Singapore Armed Forces when Singapore became independent. After Singapore Armed Forces moved out, the Legends Fort Canning Park took over in November 2002. 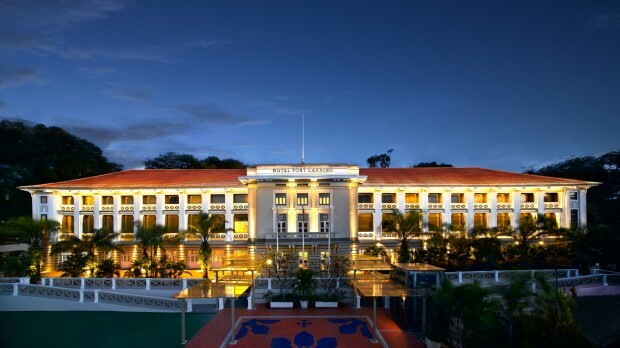 And in October 2010, it officially re-opened as Hotel Fort Canning . The building was restored and reconstructed by DP Architects which wanted to preserve the old style colonial glamour and the multi-columned façade of the old headquarters. Now the Hotel Fort Canning is a beautiful boutique hotel which boasts 86 stylised rooms and suites. Its upper floor windows overlook Fort Canning Park and the city skyline. In 2011, the hotel was the winner of URA Architectural Heritage Awards. 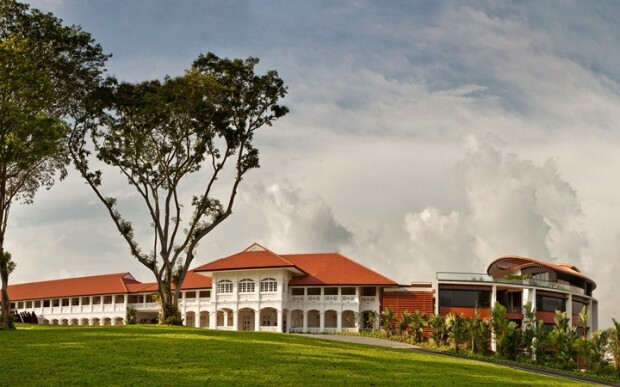 The old-school colonial buildings of Capella Singapore were once an Officers’ Mess meant for the British Officers of the Royal Artillery and had seen many parties, dances and even mahjong games. Dating back to the 1880s, these British colonial buildings have been restored and are a great accompaniment to the new hotel extension and villas. As stated on their website, “Tanah Merah I and Tanah Merah II, now home to Capella Singapore, were given conservation status on 7 Aug 2000 under the Conservation of Built Heritage”. In 1929, three Jewish Brothers with the family name Mannaseh converted what was once a club for the expatriate Germans into Goodwood Park Hotel. The hotel was one of the best-known hotels and catered to travelling businessmen hailing from Malaya. Among its dignified guests then was the Duke of Windsor, then the Prince of Wales of England. After the war in 1947, the hotel was a British War Crimes Court before it was handed back over to Mr Vivian Bath (the stepson of one of its founding brothers). On 23 March 1989, the tower block of Goodwood Park Hotel was gazetted a national monument by the Singapore National Heritage Board. 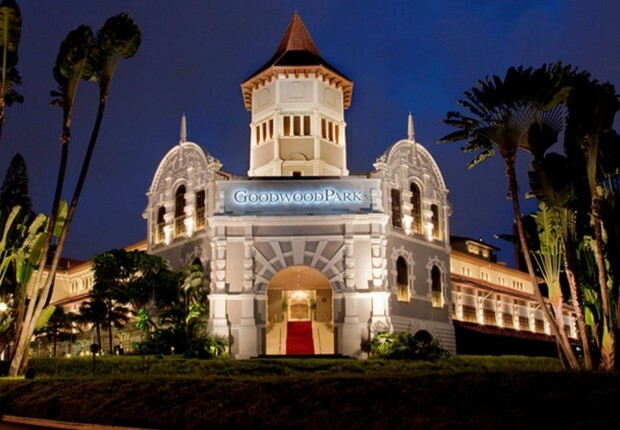 Not many people know this but Goodwood Park Hotel was the first in Singapore to offer a swimming pool in its premises! In September 1887 , the Sarkies Brothers converted the then private beach house into a ten-room Raffles Hotel and opened on 1 December 1887. After an extensive renovation that lasted two years, the hotel reopened its doors on 16 September 1991. The hotel underwent significant changes, although it preserved the grandeur of its 1915 building. The guest rooms were all converted into suites and the hotel was known for its Long Bar, where the famous Singapore Sling was concocted by bartender Ngiam Tong Boon. Bet you didn’t know that Long Bar was frequented by the likes of Ernest Hemingway and Somerset Maugham! Raffles Hotel was declared a national monument by the Singapore government in 1987, a century after it first opened. Known for the red-light district and also infamously for being a hideaway for businessmen and their mistresses in the past, Keong Saik Road was once where wholesalers of charcoal and groceries stood alongside coffee shops and incense retailers. Now the street which houses Hotel 1929 is a beautiful juxtaposition of the old and new. With the architecture and old school coffee shops of yesteryears and the modern businesses of today, the street is rich in history and would make for an enriching stay. Consisting of five conservation shop-houses built in 1929 and featuring 32 individually designed rooms, Hotel 1929 is a novel accommodation that tourists and locals alike will enjoy. 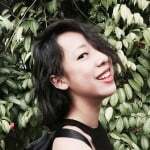 [DEAL] GET 10% OFF RATES NOW! What are you waiting for?! Grab this crazy promo now before it's gone! 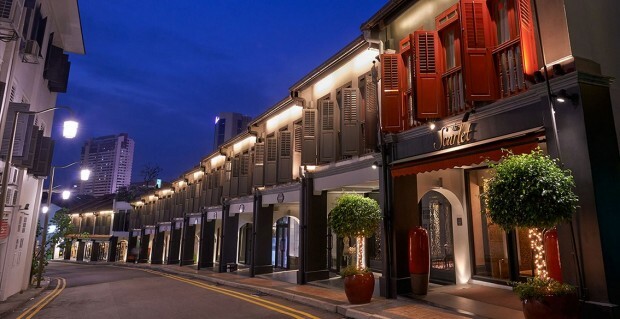 The Scarlet Singapore was built into a 1924 art deco building and 13 shophouses that were built way back in 1868. It is also a stone’s throw away from shopping and restaurants on Ann Siang Road. Made accessible by an 8-minute walk from Chinatown, this accommodation is known for being Singapore’s first luxury boutique hotel. This swanky hotel is definitely a strategically wise choice for tourists to stay in order to get an authentic taste of the rich heritage of Singapore while enjoying the finer side of things. Its charming shophouse exterior gives way to a more luxe and exquisite interior that has a black marble reception counter and a lot of gold, bronze and crimson accents. The facade has been restored and preserved to maintain the vintage look of old shophouses back in the day. With such a rich culture and heritage that have been preserved from the early years of Singapore, these hotels will make sure that the legacy of Singapore will continue to live on and prosper.